In two weeks it’ll be two years since Andrew Breitbart departed this world, leaving behind a wife and four children that he desperately loved. I mourn the void he left behind, both as an irrepressible friend and the indispensable man for the challenge of our time: reinflating the sphere of liberty. 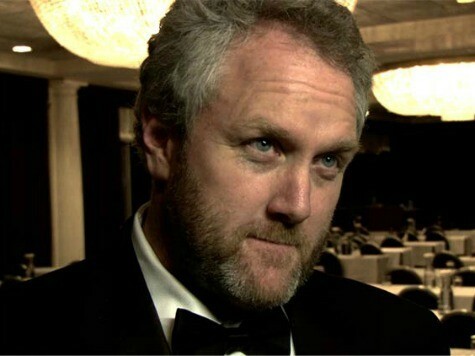 But, Andrew’s passion lives on in the work of the ongoing Breitbart.com empire and in the work of young citizen/journalist/activists. Andrew understood the other side, their world view and he acted to create the most cognitive dissonance possible within the Left’s collective. Andrew made the right people very uncomfortable. Brash. Direct. Devastating. He reveled in it. Andrew was hated by the Left because he was once one of them, steeped in moral relativism’s petulant vibes and cultural Marxism’s haughty certainty from a first rate, if banal, college education. Some sensitive souls saw Andrew as rough. If he was, it was because the other side was rougher–after all, the Left, in deadly earnestness, plays to win at the game of power that far too many practice as means to itself, as an avocation, or simply as a way to get a place at the tough of corporate welfare. “Wacko-birds,” anyone? Breitbart’s online media family launched in 2007 and has grown to include Big Hollywood, Big Government, Big Journalism, Big Peace and Big Sports. What Andrew said of Big Journalism’s purpose more or less could be said of the sister sites as well, “Our goal at Big Journalism is to hold the mainstream media’s feet to the fire. 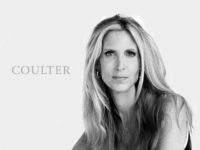 There are a lot of stories that they simply don’t cover, either because it doesn’t fit their world view… or because they are a dying organization, short-staffed, and thus can’t cover stuff like they did before.” And now, the newest edition to the Breitbart family: Breitbart Texas–an important, nay, the most important Breitbart outlet because it covers the center of the known universe. The Lone Star State, the center of the universe?!? Of course Hollywood is important, far more so than mere politics, Hollywood shapes generational attitudes. But, Hollywood is Left and will remain predictably, boringly so for the foreseeable future; so too, the rest of the elite institutions that the Bigs skewer and second-guess on a daily basis. Texas on the other hand, is important. Try winning the White House as a conservative without Texas. Impossible. Further, Texas’ vital role is to reintroduce the quintessential American values of liberty, individual responsibility and hard work back to America by showing their efficacy; in short, to be the antidote to California’s liberal contagion. That’s why scores of the President’s apparatchiks have blanketed Texas, seeking to bring the spectre of progressivism to the benighted masses of the Lone Star State under the guise of Battleground Texas. Battleground plays to win in service of a worldview that equates old fashioned liberty with selfishness, promoting instead a pseudo-liberty with freedom from work and responsibility as its highest aim, viewing Americans as, at best, locked in perpetual early adolescence with big government’s professional ranks serving as an eternal nanny. Against this remorseless entity the traditional political class is unarmed, a most un-Texan attribute. I miss Andrew Breitbart. Let us honor his memory, his zeal for liberty by rising to secure Texan liberty and, once secured, working to reacquaint America with her ancient faith. Chuck DeVore is vice president of policy at the Texas Public Policy Foundation and author of “The Texas Model: Prosperity in the Lone Star State and Lessons for America.”He served in the California State Assembly from 2004 to 2010. Andrew Breitbart endorsed his 2010 run for the U.S. Senate in California.